The 70-year-old Mark I computing machine was powered on briefly yesterday. The short reboot celebrated the opening of a newly redesigned exhibit that describes the machine's history. 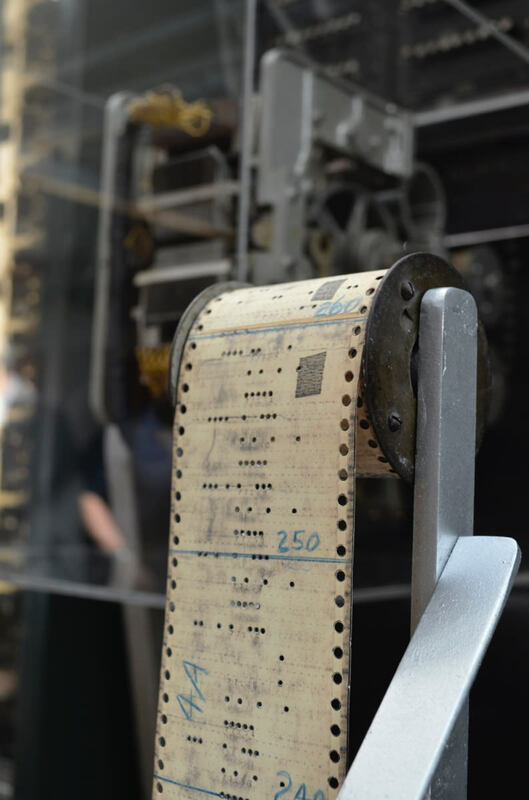 The Mark I display includes early punch cards. 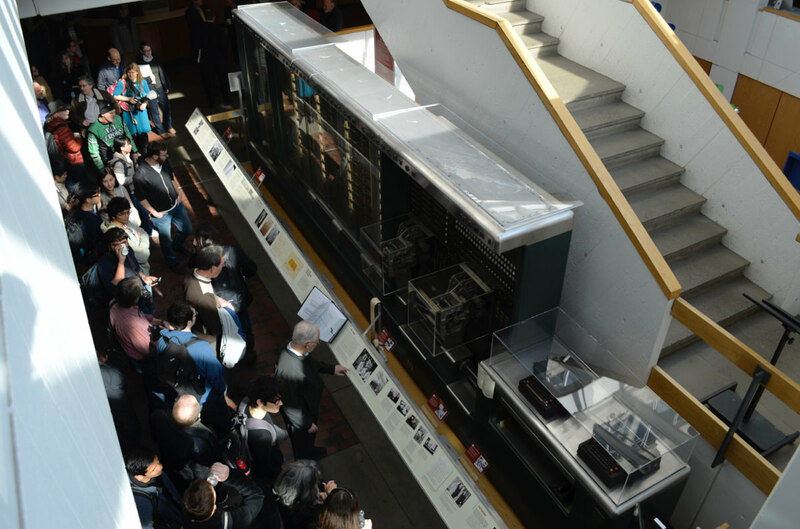 More than a hundred people crowded the Science Center lobby to catch a glimpse of the Mark I in action. The Mark I, the first programmable computer in the United States, hummed briefly back to life yesterday, 70 years after performing its first calculations. Gears whirred and parts moved back and forth, drawing cheers from the assembled crowd even though no computations were made. Likewise in attentive attendance were dozens of the machine’s electronic descendants: smartphones, cameras, and at least one wearable computer, Google Glass, all bore witness to how far computer science has come. The brief reboot of the Mark I celebrated the opening of a newly redesigned exhibit centered on the machine. The computational monster was 55 feet long, eight feet tall, and weighed five tons in total, though only part of the machine remains on display in the Science Center lobby. In the 1930s, explained Cherry Murray, dean of the School of Engineering and Applied Sciences, a Harvard graduate student in physics, Howard Aiken, dreamed up the machine as a way to speed up tedious calculations. 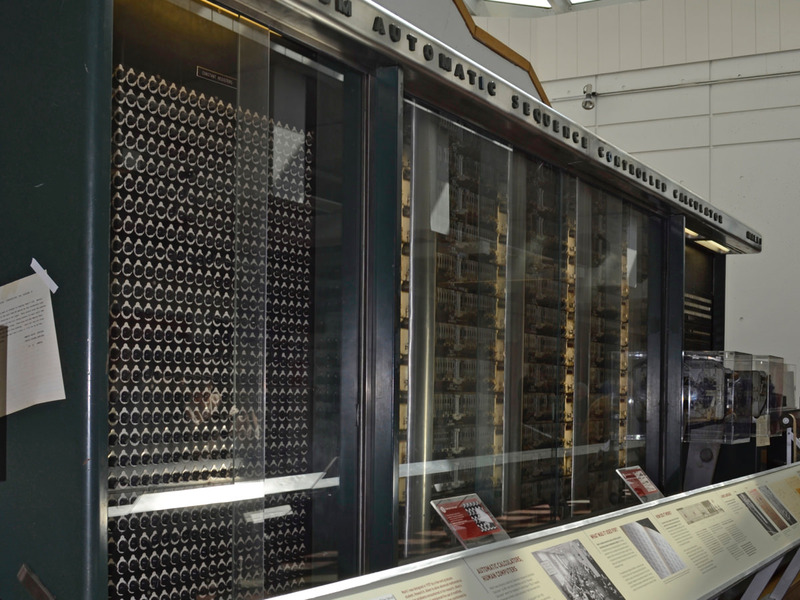 The Automatic Sequence Controlled Calculator, as the Mark I was originally known, was built by IBM and presented to Harvard in August 1944. 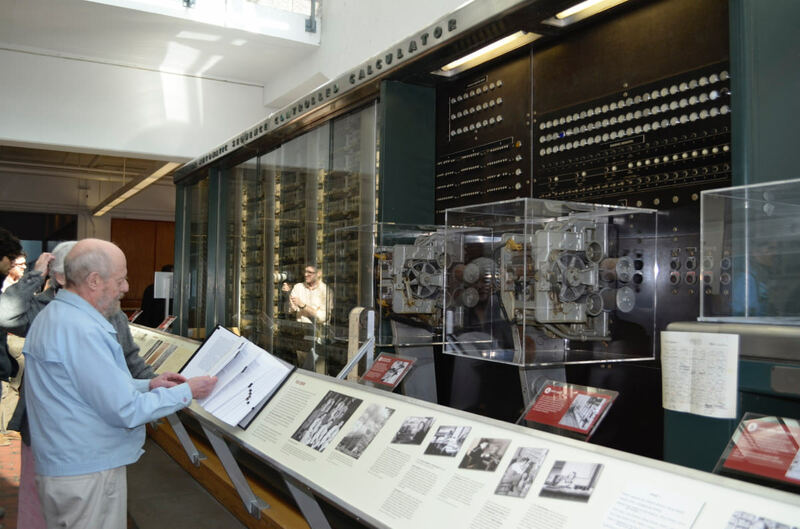 For 15 years, it played an important role in U.S. military efforts, solving differential equations called Bessel functions (for which it earned the nickname "Bessie") and running a series of calculations that helped design the atomic bomb. “We’ve come a long way in the last 70 years in thinking about what these machines can do,” he concluded. “I hope we’ve learned how to apply those lessons for the next 70 years.” With that, a loud, deep hum filled the air as the Mark I churned back to life, signaling its agreement.